Make Money Online… that got your attention. I’m sure you’ve heard that before! From the numerous ads, to the internet scams, and even the blog posts that are just to get you on a site so ads can be displayed to you; there’s never quality advice. People want to claim they will help you make money online, when they’re only trying to make it for themselves. The problem with all of those is the people is that they are never wanting to help you, they’re wanting to only help themselves. Obviously someone starting a business wants to help themselves, and that’s not wrong. However, you have to also want to help others. Balancing the two is the key to success, you can’t be polarized with something like that. Unfortunately most people online aren’t really trying to help you. So you need to be equipped to help yourself with free information, so you don’t have to pay some annoying guy, who happens to have a Lamborghini sitting in his garage, to get information from him that happens to be generic and unhelpful, practically speaking. I have spent the better part of 6 years trying to figure out what the trick was to make money online. I wanted to know what special button I needed to press or what secret I needed to know in order to generate cash forever. Unfortunately, you and I both know that’s not how it works. Yes, making money online is possible. 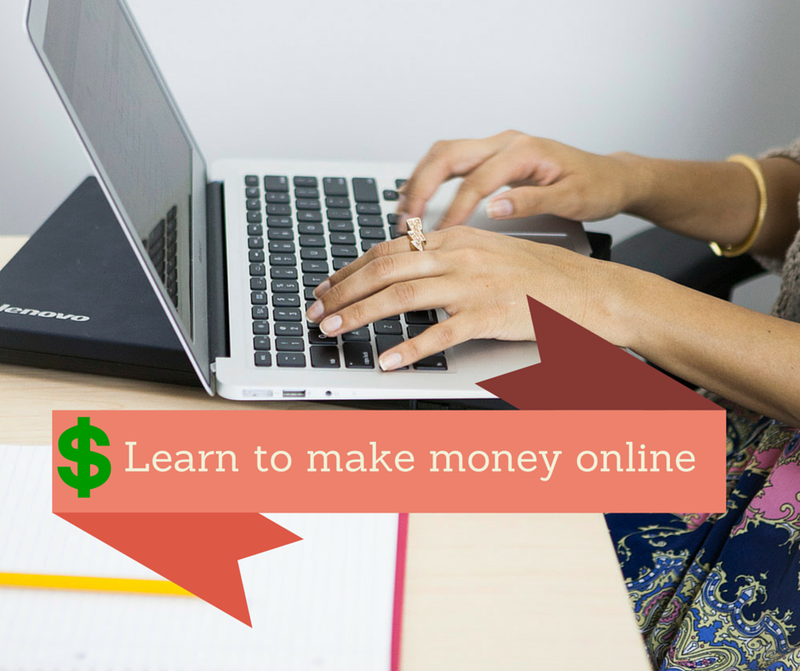 No, making money online isn’t instant or effortless. Yes, making money online can be done by anyone. No, making money online won’t be done by everyone. Yes, making money online requires minor investment. No, making money online isn’t costless. Maybe easy is a relative term. However, compared to going through the hassle of setting up a brick and mortar small retail store, though, it’s much easier. Step 1. Be willing to invest money. This is the hardest thing to overcome. Most people want to be able to hop online, click some, type some, and then start raking in cash. If anyone tells you this is possible, they’re most likely scamming you. You may have even bought a cheap eBook or signed up for an online “fool proof” crash course or a “mentoring” program. Those probably aren’t going to help, and you’re still paying money. What you have to come to terms with is you are going to have to invest some money into whatever business you decide to try to build online. That being said, it takes a significantly smaller investment to make money online than it would any other way. You just have to be willing to invest a little bit. Honestly, sometimes this investment is more for you than anything. If you know you have something on the line, you’re more likely to be determined to follow through with your goals. It’s not that fancy of a word–the methodology. All this means is you have to figure out what it is that you are going to do to make the money. The beauty of the internet is it is the closest thing to a free market that still exists; there aren’t a bunch of regulations holding it back. Think about what you pay for online. Think about what others pay for online. What can you offer–product or service–that people will pay for? Can you write about something that people want to read? Don’t worry, this question may take some time to answer, but most people have something they can offer. They just have yet to discover it! And don’t be afraid of creativity. If you think “oh people will think this is just too weird, it’ll never work” you might be right, or… you might be wrong. Someone might want that. Come up with a good idea to make money online, and remember: the more unique, the better. Chances are you don’t know how to make a website. Sure there are free website creators online, but those are cheesy, usually don’t give you much freedom, and they plaster their big ugly branding all over everything. You need to find real solutions that will cater to the right business you’re trying to form. Sometimes one company won’t be a right fit for you, and that’s okay. Find the people to provide you with the best online services you can get, and most importantly: find someone who is willing to work with you. Make sure you get to interact with a real person as often as possible. Step 4. Stick with modern. Responsive web design is what is in. If you get a static website made and then get a mobile version that is plain, ugly, and completely different from what a modern website looks like then you’re not going to establish rapport with your visitors very quickly. A beautiful, responsive web design is important. It shows that you keep up with the times, and that you care about how you appear and engage people. Plus, a responsive web design looks good on desktop and mobile, it’s ready for everything. With the amount of mobile users that browse the internet, you’ve must be willing to cater to those people. Step 5. Don’t do it alone. Partnering with someone is the best way to go about business. Not only do you have someone to help encourage you along, but you also have someone with skills of their own to bring to the table. It doesn’t have to be someone you know well, and it doesn’t have to be in the form as a legal business partnership. But you need to find someone, or an agency/company, who is willing to work with you on a perpetual basis in order to equip your business for success. Search Engine Optimization. If you’ve never heard about it, that’s okay. However, you need it. You don’t have to know how to do this yourself, you can find someone to partner with or hire, but you want proper, quality SEO. It’s extremely important to get found online and have more traffic coming to your website. If you can follow these steps, you can make money online. Sometimes it seems like a daunting task, because it does take an investment of time, effort, and a little bit of money. But if you are willing to take the plunge, you can reap your portion of the large online market.